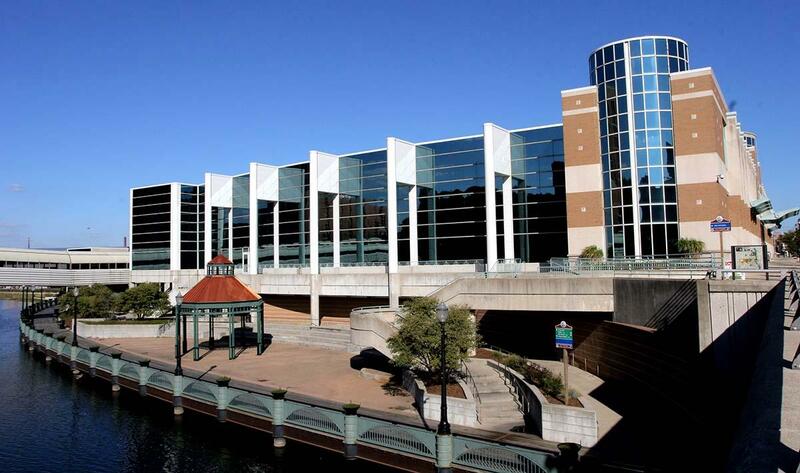 Lansing Center is located in the heart of Michigan, in vibrant downtown Lansing. With fantastic views of the State Capitol Building and the scenic Grand River, Lansing Center is the place to be for all things Lansing. A covered sky bridge connecting Lansing Center to the Radisson Hotel soars over the Grand River and the historic Lansing City Market. Also surrounding our space are numerous restaurants, clubs, and museums, as well as Cooley Law School Stadium: home of the Lugnuts, Lansing's minor league baseball team.